A Texas parking lot became the scene of a doughnut frenzy after an ice storm hit the Dallas area Monday. 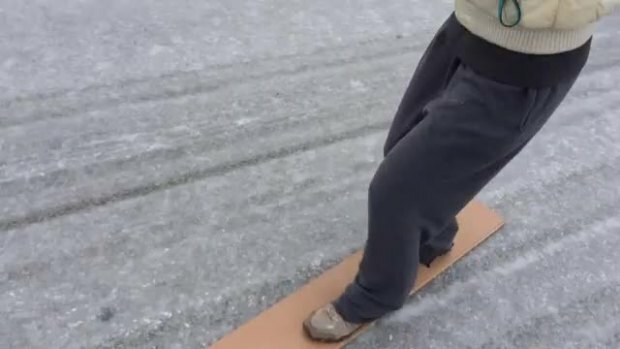 Three vehicles were caught on camera turning a wet and icy Arlington parking lot into a joyride opportunity. They were among the 10 muscle cars in the parking lot at the intersection of Routes 260 and 20. NBC 5 photographer Noah Bullard captured the doughnut fiasco. A man is seen pumping his fist out of a silver Mustang as the car he is riding in takes a turn on the ice. The nuisance storm caused more than 700 schools and businesses closures on Monday and Tuesday. Round two of snow is expected to hit North Texas Tuesday night and drop up to 3 inches, according to the National Weather Service. 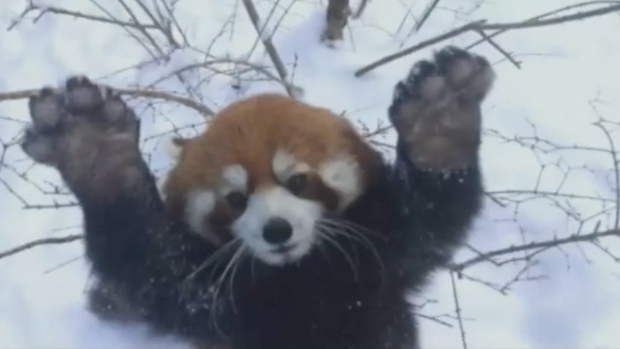 Animals at the Cincinnati Zoo are enjoying the snow, frolicking like this red panda, penguins and polar bears who can't get enough of it. Using old panels of hardwood flooring to get around in Benbrook, Texas!